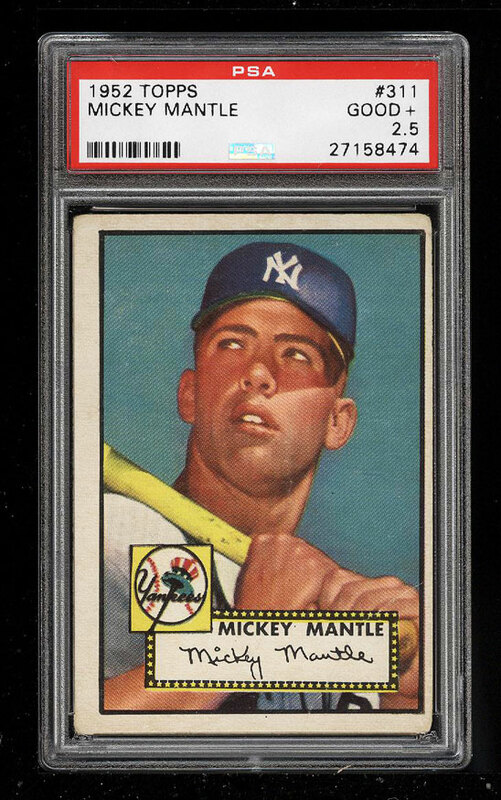 **Auction #10, Round 2** A beautiful '52 Topps Mantle on the auction block this month. The offered specimen outshines most 3s we've brokered in recent times and boasts attributes of a higher grade. The print, color and focus all show exceedingly well throughout. Crisp edges with beautiful cream borders. 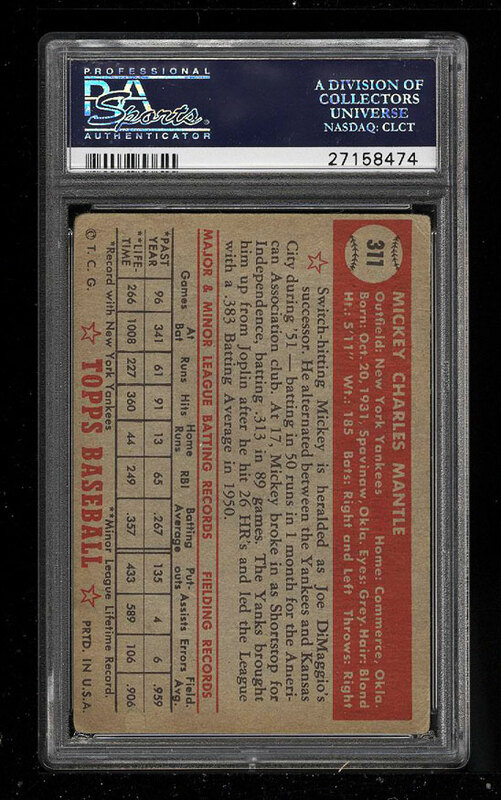 The '52 Topps Mantle production is incredibly popular throughout collecting and represents a sound investment commodity. An all around pretty card which is deserving of attention. One of over 14,000 cards, lots, and sets up for bid in our 10th Auction of 2017. Click on the link above to view the other PWCC auction lots.